The Asphalt Green Unified Aquatics (AGUA) Swim Team is Manhattan’s premier competitive swimming team and one of the top teams in the Northeast. Every year, the AGUA Swim Team trains more than 300 children 6 to 18 years old from five boroughs of New York City, northern New Jersey and around the world. AGUA practices and trains at the George Delacorte Olympic Pool on our Upper East Side campus and 25-yard lap pool at our Battery Park City campus. The mission of AGUA Swim Team is to teach swimmers technical skills as well as responsibility, hard work and sportsmanship. We teach our athletes how to balance academics and athletics to try and prepare them for the challenges of being a collegiate student-athlete. We believe the qualities which are developed by our pursuits in the pool translate to positive work habits in school and beyond to adult life. Asphalt Green is committed to creating a diverse swim team with athletes from all economic and ethnic backgrounds. We provide annual scholarships to talented athletes to cover the cost of participating on the AGUA Swim Team. We also invite all AGUA swimmers in Senior Prep and above to help us give back to the community. Help teach kids in need how to swim as a volunteer in our Waterproofing program. Learn more about this unique volunteer opportunity. Learn more about the team on the AGUA Swim Team website. For more information about the AGUA Swim Team, please contact Head Coach David Rodriguez: 212.369.8890 x2235, drodriguez@asphaltgreen.org. AGUA Swim Team is tryout based and a training ground for competitive swimmers. 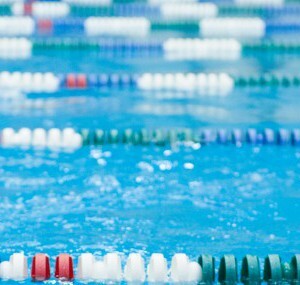 AGUA Swim Team boasts highly experienced coaching staff to ensure each athlete receives the best training experience.